The first A350 destined for British Airways is currently under construction. Teasers of the aircraft are slowly being released, the latest being a tantalizing wingtip painting video. British Airways is set to receive a total of four Airbus A350-1000 aircraft by the end of the year. The Airbus A350 is commonly referred to as the ‘extra wide body’, or simply XWB for short. We already know that the first BA A350 will be registered as G-XWBA. This is interesting as it combines not only the XWB from extra wide body but also BA for British Airways. 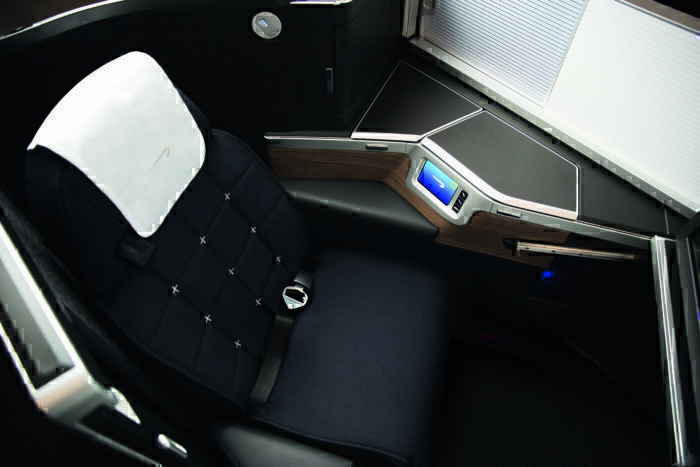 One of the most hotly anticipated features of the new British Airways Airbus A350 is the new Club World seat. The seat, which will really be a suite, is part of a much-needed refresh of the business class cabin. While some have said that they think the new Club World seat is better than the current first seat, this won’t be a problem on the A350. The British Airways A350 will only have three cabins. That is to say, World Traveller (economy), World Traveller Plus (premium economy), and Club World (business). There won’t be any first class on these aircraft. BA’s first A350-1000 is currently under construction at Airbus’ Toulouse factory. This is taking place at the same time as the first Airbus A350-1000 destined for Virgin Atlantic. While Virgin has been fairly tight-lipped about the progress of their A350, British Airways is proud to showcase the progress of their aircraft. When the A350 is delivered to British Airways in the summer, it won’t head straight into long-haul service. Instead, the aircraft will initially operate between London and Madrid. The purpose of this is to familiarize the crew with the aircraft on shorter hops. Following the Madrid flights, the aircraft will then begin long-haul flights from October 1st. It will begin operating the route from London to Toronto, while occasionally being seen on the London to Dubai route too. It is expected that the final four A350s due to BA this year will be delivered after this date. While we know that the aircraft will be delivered sometime this summer, we are yet to know the exact date. British Airways has advised that the date will be made public in June. Can you wait for the BA A350? Let us know in the comments down below! Great new Business Class seats! Being BA, the seats for the rest of us will be short pitched and if they can cream another seat in each row they will do that too. Sardine packets. How nice for the one percent that they will get luxury while we get a very close view of the seat in front. Its high time that the worfld’s leading airline updated its image in both type of aircrats and liveries. Even the standard of service have slipped down! I am very proud to be a BA passenger and indeed a supporter. To be fair, BA on short haul is on an exact par with Easyjet and Ryanair, in terms of on-board comfort and service—-the main difference being their aircraft are a bit older. So yes, it’s nice to be able to see how the other half fly, but it is a little meaningless to we habitues of economy class! Anything will be better than the current BA business class cabins. I recently flew Narita to London on a flight I booked with JAL only to discover that I was on a BA Codeshare. The seating is a dog’s breakfast of lack of space, poor ergonomics and discomfort. I suspect it would be dangerous if one needed to exit from a window seat in a hurry. There was no choice of dinner main course because only one option had been loaded. The glossy printed wine list bore no resemblance to the wines on offer, and the steward could not pronounce “Riesling”. I avoid BA like the plague.